I adore this series, and have been collecting the books as I could find them. This one was the hardest to come by, but I finally found this good-condition hardcover via Better World Books. It's the fourth in the series, following A Death in the Venetian Quarter, though much of this story is a flashback to one of Theophilos' earlier adventures. As with the other books in the series, this one is based on detailed historical accounts - with a few tweaks in characterization and motivation, though those are woven into the historical events very well. 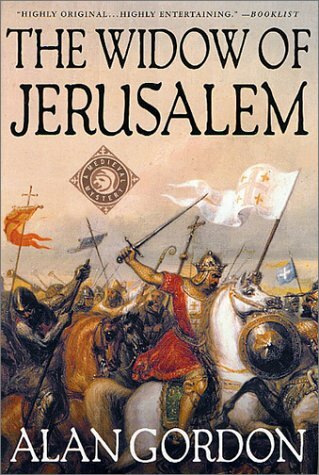 Set mainly in 1192, the story focuses on Isabella I, Queen of Jerusalem (living in Tyre, as Saladin currently holds Jerusalem itself), and the political turmoil surrounding whether or not her husband, Conrad of Montferrat, will be accepted as king by England and France. The Fools Guild is strongly interested in this, as they hope that a strong and capable leader like Conrad will help bring peace to the region. The local fool is Scarlet, a dwarf who's devoted to Isabella; he and Theo join forces to carry out a number of tricky, dangerous, and vastly entertaining assignments, including the diverting of an entire shipload of supplies. Since my favorite part of the series is the banter between hyper-competent Theo and his even-more-competent wife Claudia, I was a bit sad that she had a much smaller part here; she's very much present in the outer story, where she and Theo learn that the guild has been forced to leave its settled home and take to the road, but during the tale-within-a-tale she only gets a few quips here and there in response to some revelation of Theo's. But the scenes she does have are choice, such as when Theo goes to great risk to retrieve the "Scarlet Dwarf" sign from the guild tavern, only to find her there before him. They are so good together! 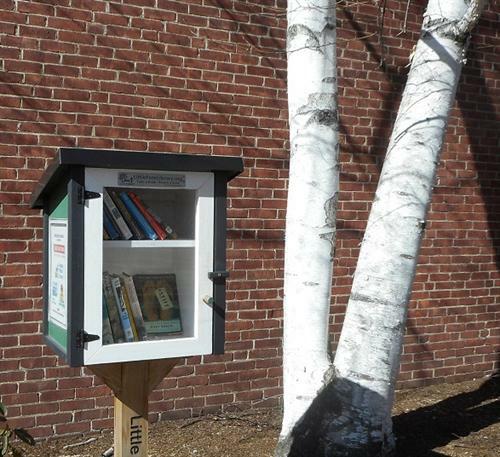 I left this book in the Little Free Library; hope someone enjoys it!